This guide discusses packaging the App-V 5.0 client for use on Windows 7 64 bit SP1, Windows Server 2008 SP2 64bit & Windows Server 2008 R2 SP1 64 bit Operating Systems. *The app-v client installer will take care of these. The first order of business is to prepare the prerequisites. Download the install code and create a script installer. 1. In Software Library, Applications, Create Application. Choose to manually specify the application information. Click next. 2. 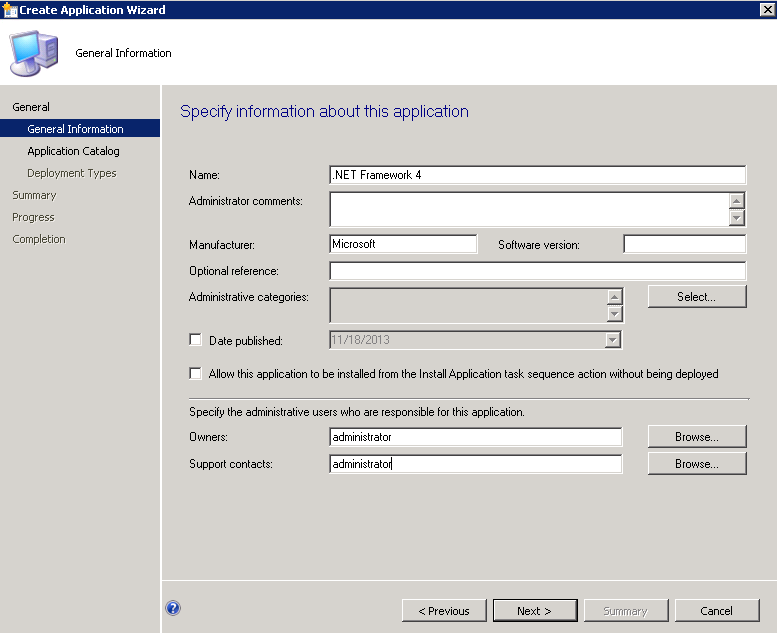 Enter the application information and click next. 4. At Deployment Types, click Add. 5. Choose Script Installer and click next. 6. 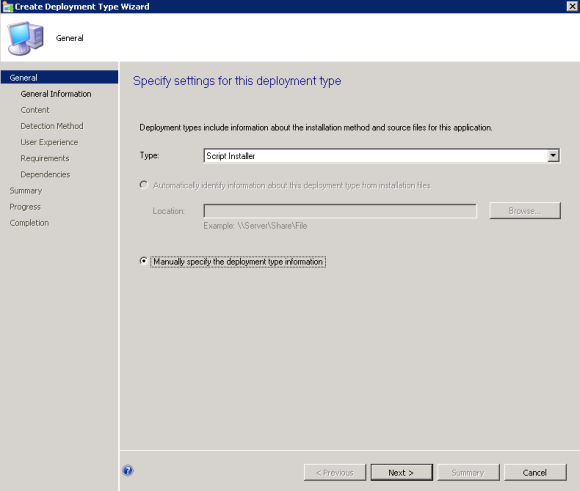 Name the deployment type and click next. 7. Use the following install and uninstall command line options, click next. 8. 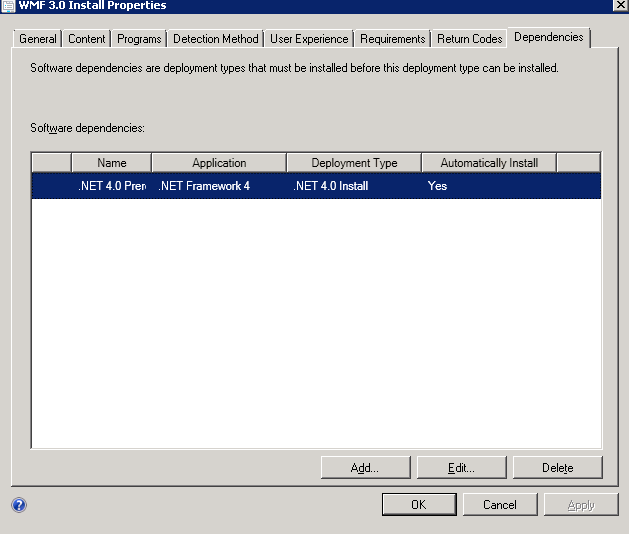 For Detection Method use the registry key HKLM/Software/Microsoft/NET Framework Setup/NDP/v4/Full and the registry value “Install” with a Data Type “Integer”. Click OK, and next. 9. 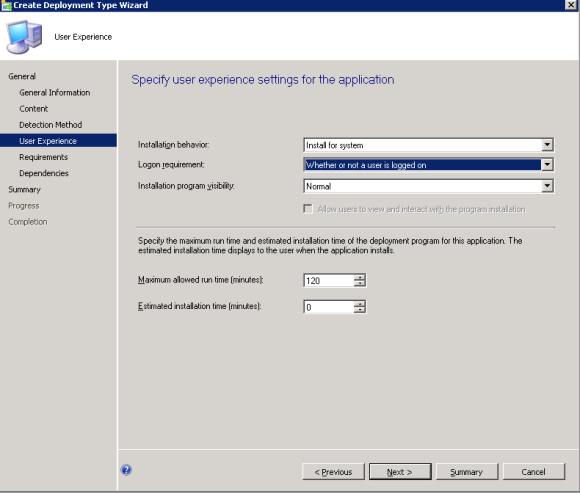 Choose whether to install for user or system and click next. 10. 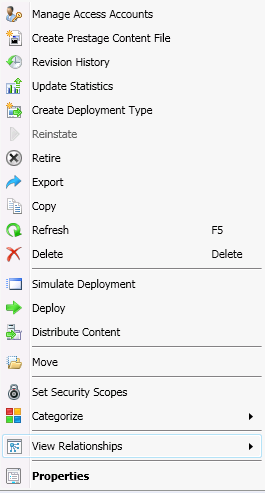 Click Next, accepting defaults through the remainder of the deployment type wizard and close. 11. Click Next, accepting defaults through the remainder of the create application wizard and close. 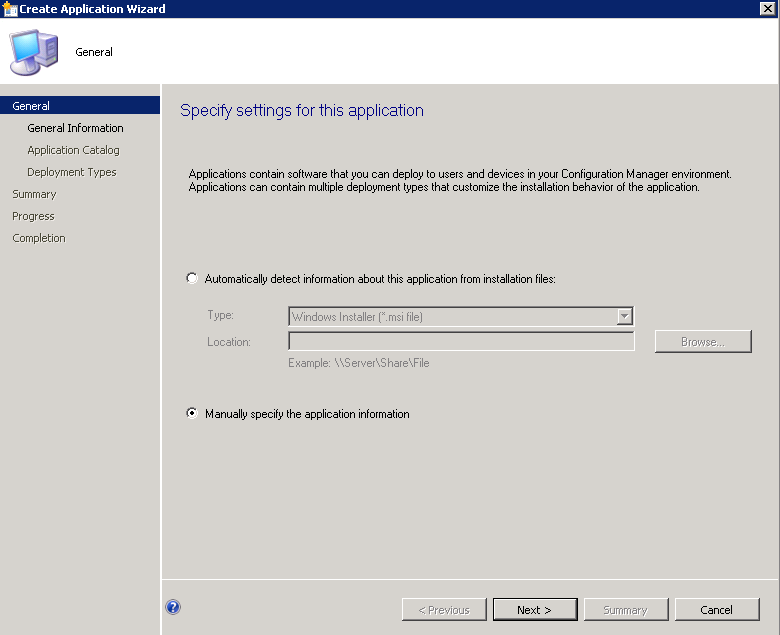 Download the WMF 3.0 install code into a shared location before beginning the application build. 1. 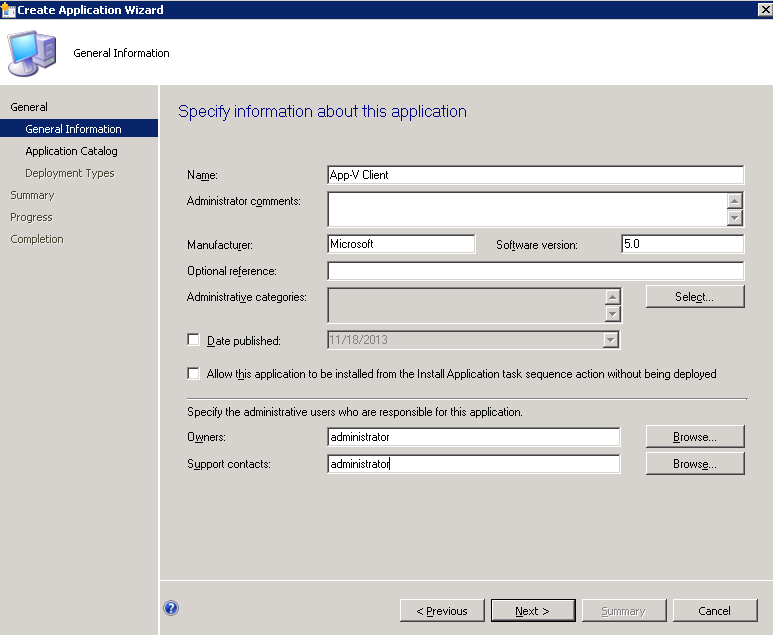 Create a new application, choose manually specify the application information and click next. 2. 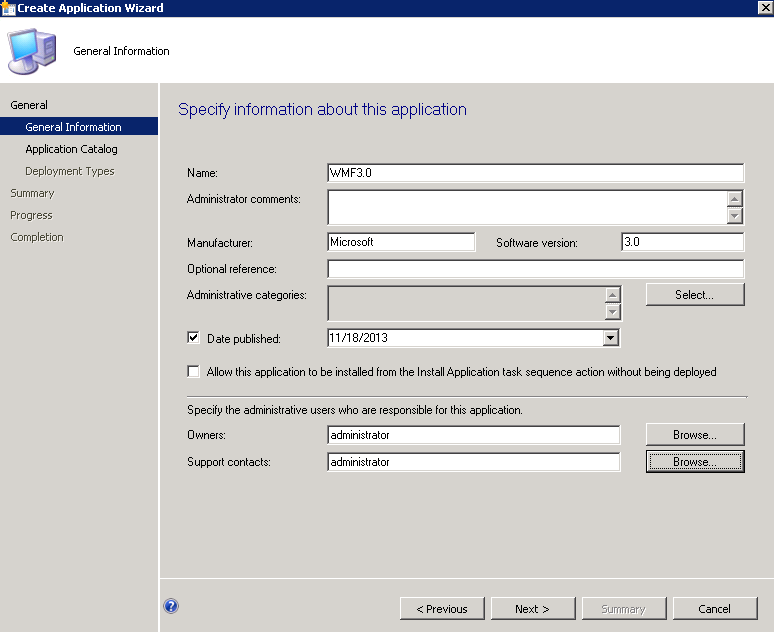 Specify the application information and click next. 3. 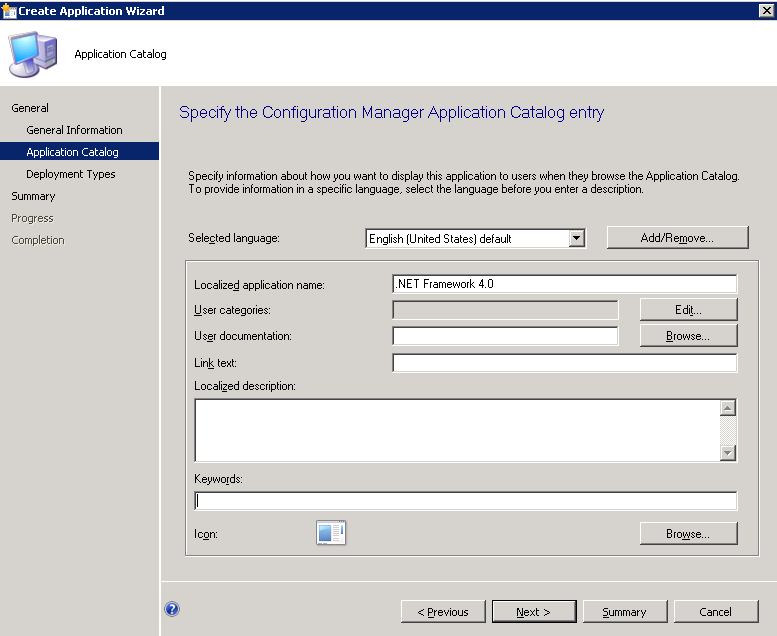 Enter Application Catalog information and click next. 4. 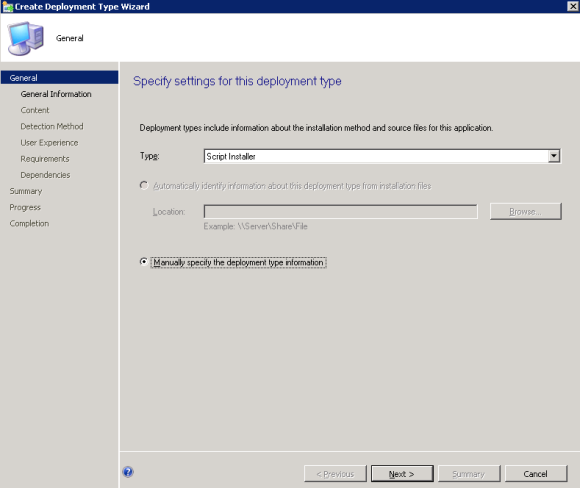 At the deployment types window, click Add. Choose script installer and click next. 5. Specify a name for the deployment type and click next. 6. 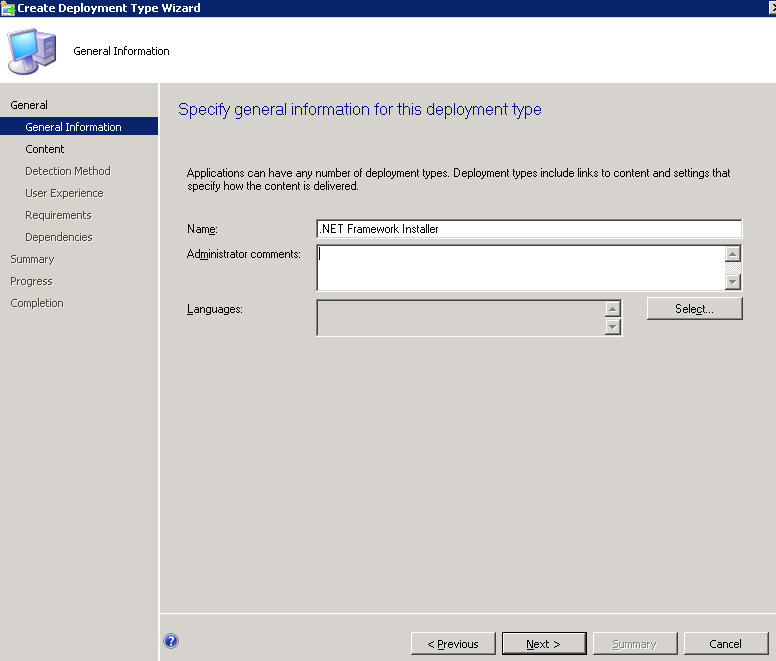 Specify the content location and install/uninstall parameters. Click Next. 7. Check the “Use a custom script to detect the presence of this deployment type” radio button. 9. Click OK, and then next. 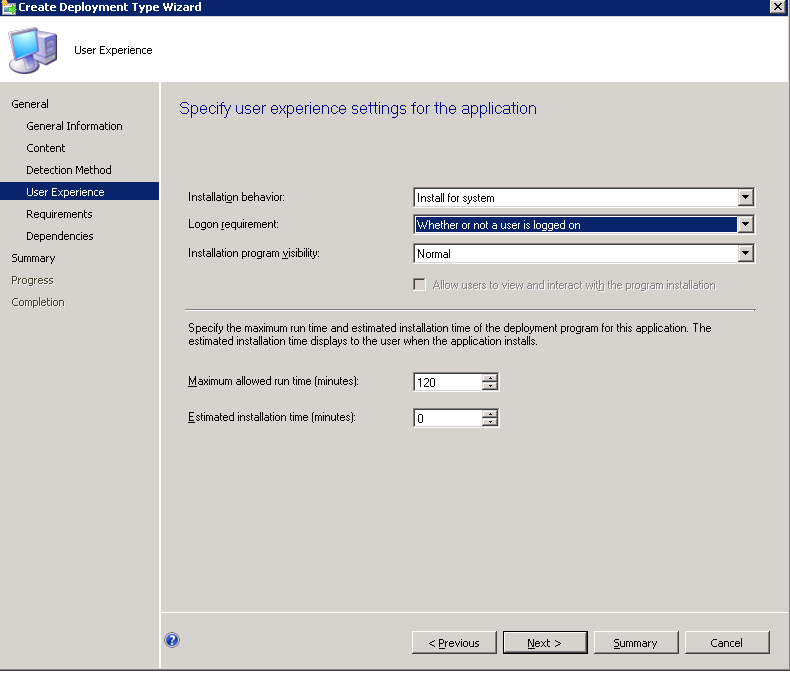 Choose user experience settings and click next. 10. At the requirements screen. 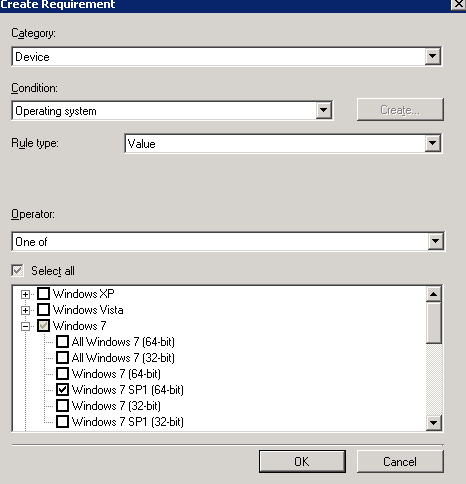 Add a device category with the condition OS and an operator: one of, and select Windows 7 SP1 64bit and Server 2008 SP2 64bit and Server 2008 R2 SP1 64bit. 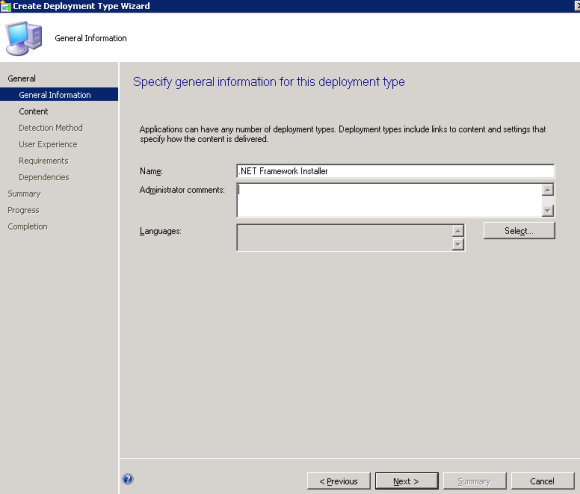 These are the only supported OS versions that Windows Management Framework 3.0 will install too. Click OK twice. 11. Click through the rest of the create deployment type wizard accepting defaults. Click Close when prompted. 12. 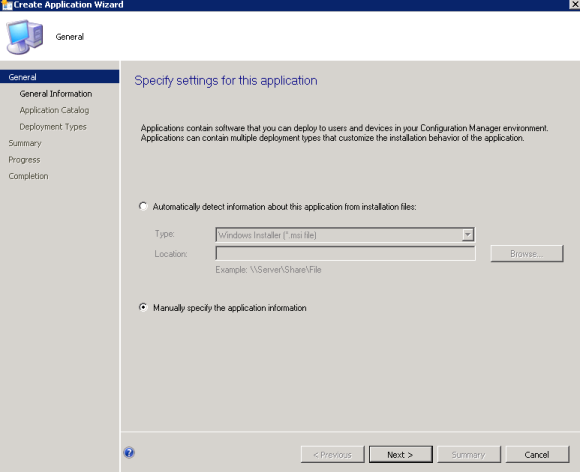 Click through the remainder of the Create Application Wizard, accepting defaults. Click close when prompted. 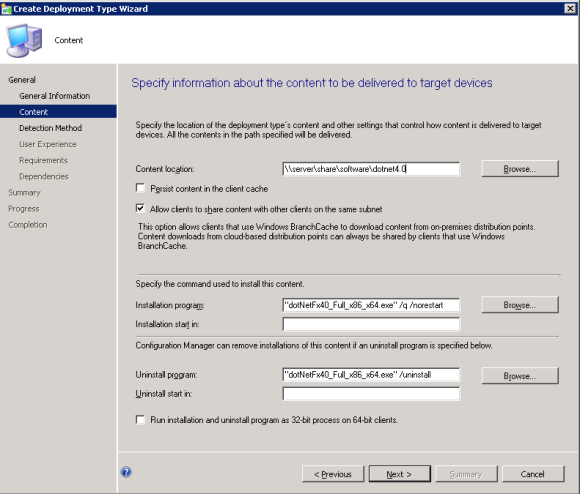 Download the MDOP 2012 suite and extract the App-V client folder and executables to a shared location. 1. In Software Library, Applications. 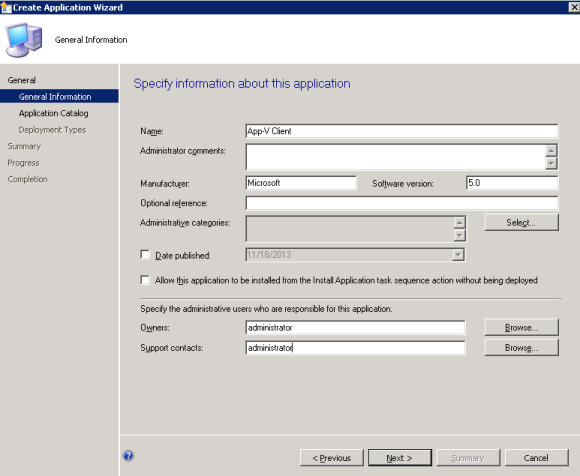 Create a new application. 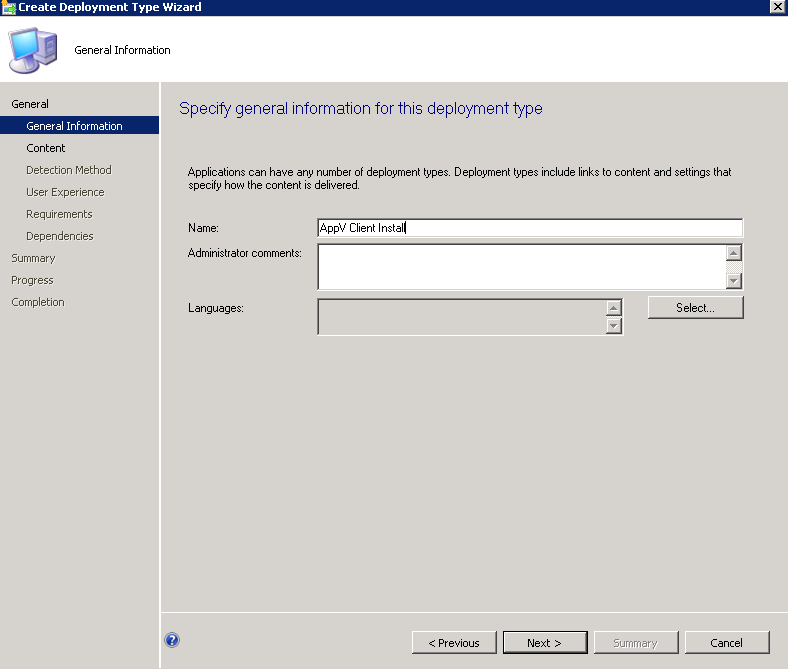 Choose manually specify and click next. 2. 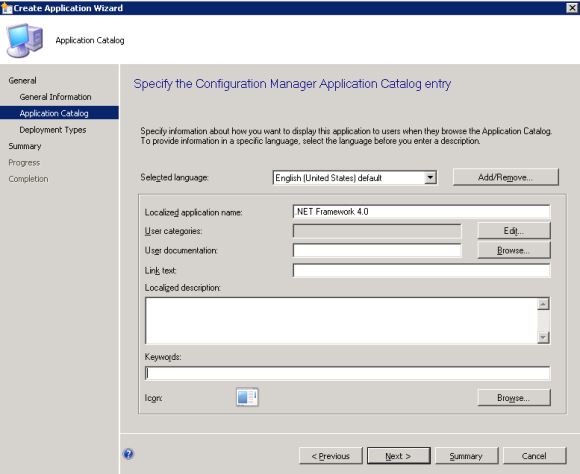 Specify application information and click next. 4. At the deployment types window, choose Add. Choose script installer and click next. 5. Enter Deployment Type information and click next. 6. Enter your content location and the following install and uninstall commands. Click next. 7. 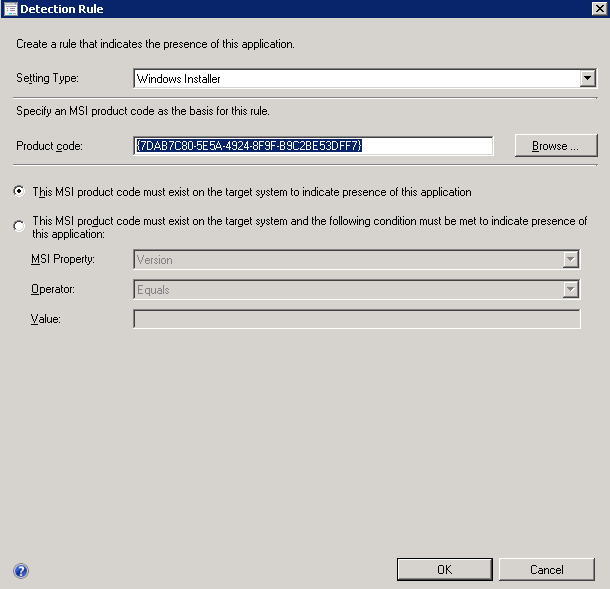 Click Add Clause, type Windows installer and the following product code for the 64 bit App-V Client. 8. At the user experience. 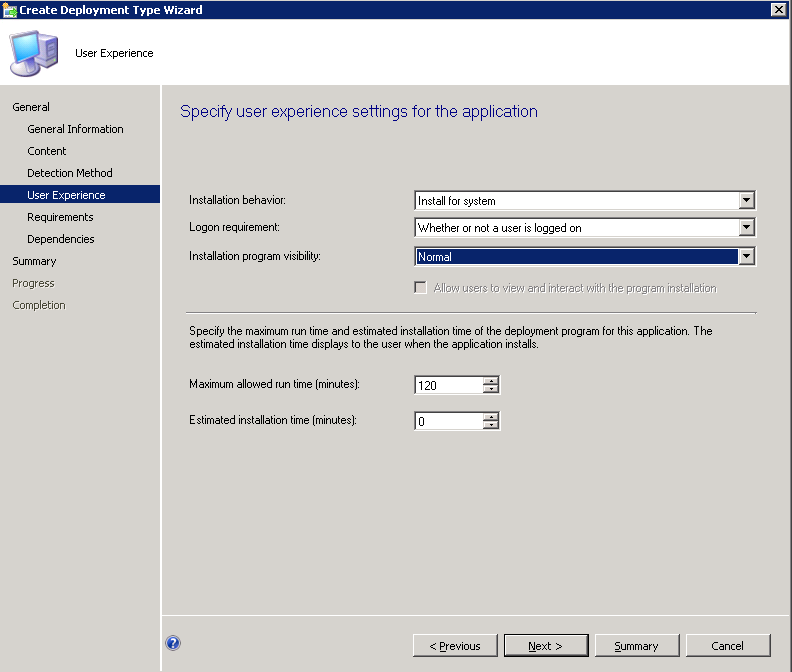 Choose your install behavior and click next. 11. 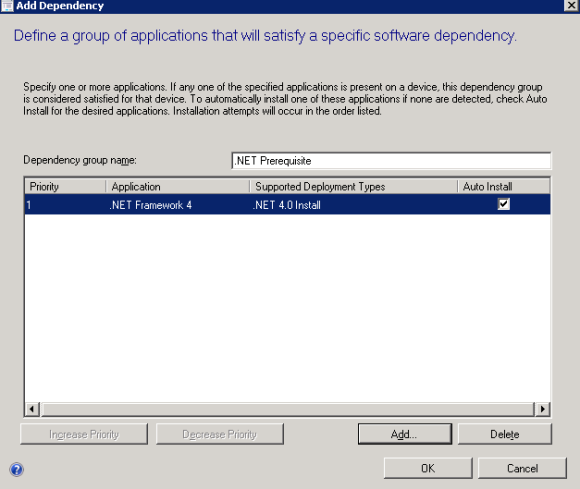 At the dependencies page add .NET Framework and WMF 3.0 as separate dependency groups. 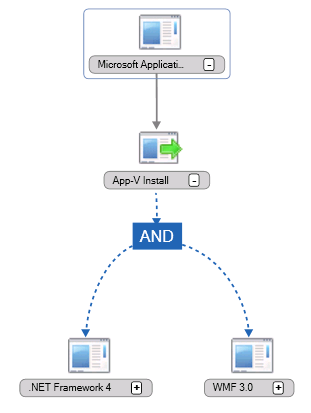 *The dependencies must be in separate groups in order to have the “AND” operation take place when App-V Client is installed. If you add .NET and WMF as a single group they will use an OR operation. 12. 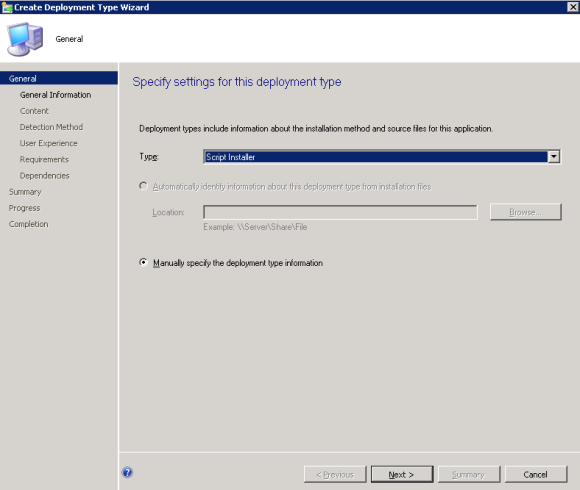 Click next through the remainder of the deployment type wizard and click close when prompted. 13. 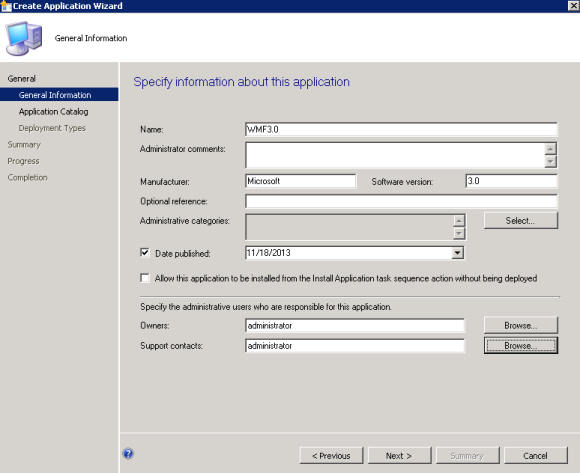 Click next through the remainder of the create application wizard and click close when prompted. 16. Lastly, highlight your WMF 3.0 package, right click and go to properties. This is done to ensure that .NET Framework 4.0 installs first when deploying the App-V Client. 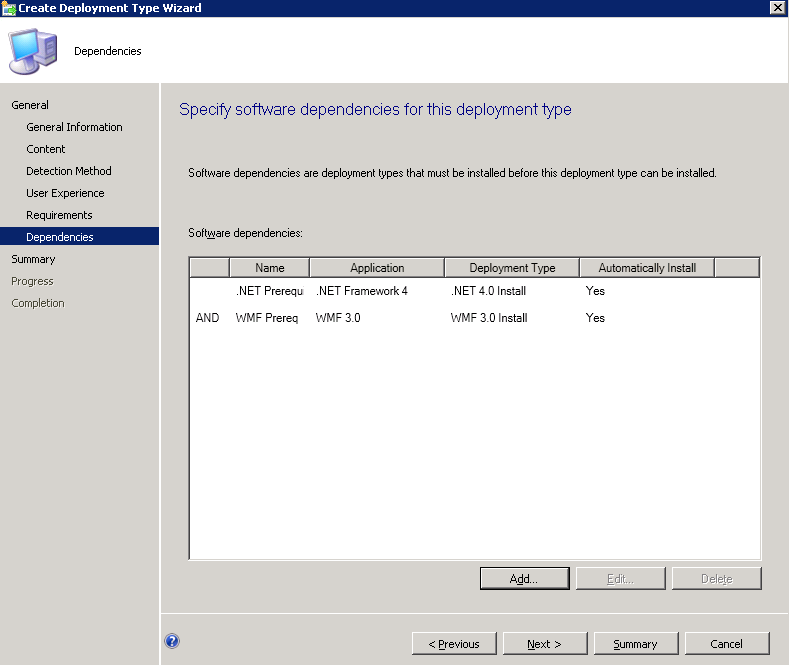 WMF 3.0 requires .NET 4.0 in order to run. 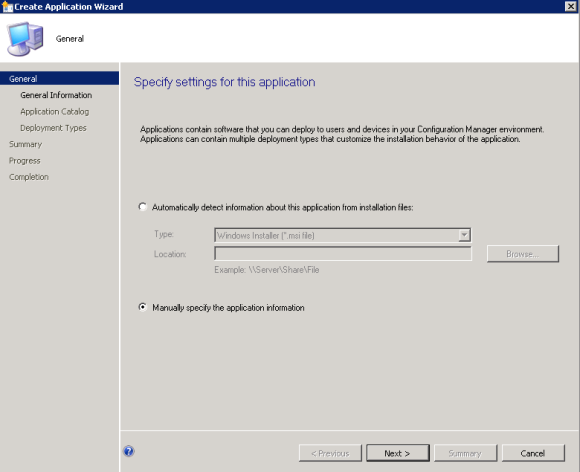 I had issues when testing the App-V client deployment where WMF would try to install first. Wow, that was a lot of work just to deploy a simple App-V client but we are finally ready to test. 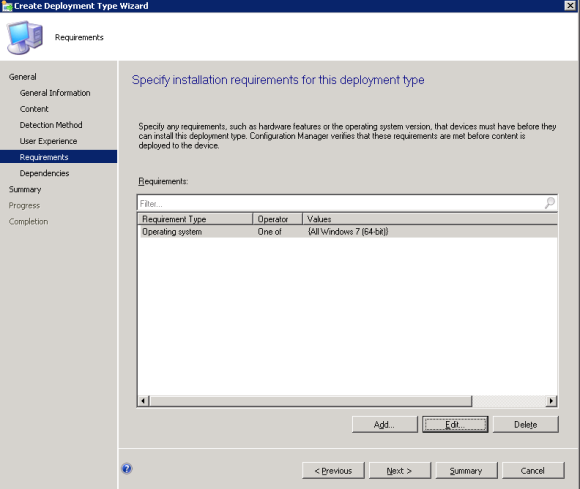 Rest assured, your hard work will pay off when you never have to install this version of the client manually again. I would recommend testing each of WMF 3.0, and .NET 4.0 separately before trying the App-V Client package. This way if there are any issues you are looking at one application instead of 3. As always, the logs are your best friend for troubleshooting.